The late 1790s ushered in tense and politically heated times for the young American republic. A quasiwar with France threatened to erupt into full-scale war at any moment, newspapers spilled partisan rancor all over the headlines, and Hamilton’s own Federalist party passed the infamously partisan statutes collectively known as the Alien and Sedition Acts. At the end of the 18th century, the American experiment in republicanism embraced by Hamilton and his founding brethren seemed imminently ready to implode. And in the wake of the Virginia and Kentucky resolutions—the “serious business” mentioned above—Hamilton found that he was in no mood to tolerate any state threatening to nullify federal law. From Hamilton’s perspective, the resolutions issued by the Virginia and Kentucky legislatures undermined the fundamental political settlement forged under the U.S. Constitution. Hamilton’s letter reveals his deep aggravation with states that threatened the national government’s authority. It was not the first time Hamilton felt frustrated by the states; he wished to subdue them during the 1780s, and he often reacted to state resistance with overheated, even hysterical, political rhetoric. Because of this, it is tempting to conclude that Alexander Hamilton viewed the states as permanent adversaries, and that, if he could, he would enhance national power at the expense of the states by stripping them of their remaining sovereignty. Despite the tone of Hamilton’s heated rhetoric, a careful consideration of his words and actions after the creation of the constitutional republic reveals a more nuanced and tolerant statesman. Although he found the states to be obstructionist and self-interested, Alexander Hamilton accepted the constitutional settlement of 1787 and the reality that the U.S. Constitution allowed for two semi-sovereigns, the states and the national government, to coexist by dividing, delegating, and even sharing their powers. But Hamilton never tolerated a state infringing on the federal government’s constitutionally defined share of power—that, from Hamilton’s perspective, was the main problem plaguing the young republic. 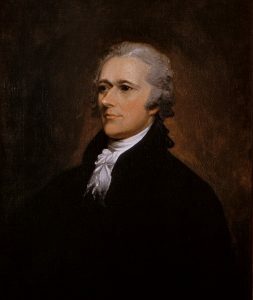 In this article, I reevaluate Hamilton’s interactions with the states and argue that while he was often exasperated with antigovernment efforts endorsed by states like Virginia, Kentucky, and Pennsylvania, he accepted the states and their partisans as a necessary part of the federal system. What drew his ire—and sometimes ill-conceived plotting against the offending states—were what he perceived as attempts to sabotage the 1787 constitutional settlement, including the national government’s sovereign powers. Hamilton occasionally reacted to these sorts of state-supported machinations with heated political diatribes and half-baked plots, but his most effective weapon against state saboteurs was the law. Indeed, throughout the 1790s, Hamilton fought to preserve national sovereignty with legal arguments, so that, consequently, his defense of national sovereignty became one significant component of his legal legacy. 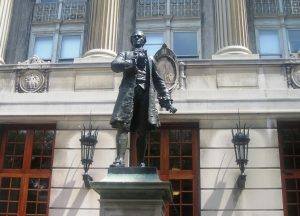 While Alexander Hamilton’s influence over the development of American constitutionalism was extensive, another strand of his legal legacy became even more influential than his defense of federal power. In life, Hamilton accepted defined political powers for the states, but fervently defended the federal government’s sovereignty from state encroachment. But after his death, Hamilton became known outright as an advocate for the states. This second component of his legal legacy emerged from his articulation of the concept of concurrence. In constitutional law, Hamiltonian concurrence offered a blueprint for jurists to help sort out questions arising from the federal system. In Federalist essays Nos. 32 and 82, Hamilton developed this constitutional theory and described how state power should be retained and preserved under the U.S. Constitution, but also spelled out the few instances acceptable for limiting state power. Over time, Hamilton’s essays on concurrence would make him the foundational authority on questions of shared power among the states and the federal government. Hamiltonian concurrence complemented, rather than contradicted, Hamilton’s defensive posture toward the states. Because Hamilton recognized and accepted that the states retained extensive authority under the Constitution, he found it crucial that, in order for the political settlement to work, the federal government must also be able to exercise the robust power delegated to it. Thus, when considered under the dispassionate, sober logic of law, Hamilton’s defense of federal power, combined with his conception of concurrence, emphasized the need for a strong national government, but, as Hamilton made clear, not at the expense of the states. He was able to strike this balance, to promote a strong national government as well as state sovereignty, because he rejected the notion that the Constitution distributed power in zero-sum terms. In other words, Hamilton articulated how power was concurrent under the Constitution—how both the state and federal government could tax the same goods, for example, or how state and federal courts could litigate the same types of cases. Power was supposed to be shared among the states and the federal government. With the practical appeal and utility of this doctrine, 19th-century jurists accepted Hamilton as an authority on concurrence and state sovereignty. When reflecting on the states’ concurrent sovereignty in 1812, for example, New York Supreme Court Chief Justice James Kent affirmed: “This construction of the powers of the federal compact has the authority of Mr. Hamilton.” As we will see, Kent was not alone; early national jurists understood Hamiltonian legal theory as a prescription for sharing power and for preserving the sovereignty of both the federal and state governments. And though we tend not to think of Alexander Hamilton as an advocate of state sovereignty, the jurists of the early republic knew better. To Alexander Hamilton, the 13 newly independent states created political dysfunction in the 1780s. Once the American Revolution erupted, Hamilton quickly concluded that the petty jealousies, biases, and competition festering among the states hindered the national government’s ability to effectively prosecute the war and to competently govern the new United States. The national Congress, laboring under the Articles of Confederation and dependent on state consensus, was impotent to act when it really mattered. The Articles reserved to the states almost complete sovereignty and required the consent of a supermajority of the states in order for Congress to exercise its few delegated powers. While the states bickered and dithered, the nation’s Congress was paralyzed, and Hamilton, in turn, was thoroughly convinced that national power must be strengthened and balanced against the sovereignty of the states. While still a senior aide to Gen. George Washington, Hamilton penned a letter to congressional delegate James Duane that shrewdly diagnosed these problems. 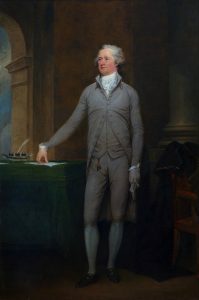 “The fundamental defect is a want of power in Congress,” Hamilton declared at the outset of his letter, but this failing originated from “an excess of the spirit of liberty which has made the particular states show a jealousy of all power not in their own hands.” Hamilton went on for pages pointing out the myriad of problems plaguing the Congress as it attempted to prosecute the war, as well as some suggested remedies to fix the paralysis. Ultimately, however, Hamilton would have to wait for the 1787 Constitutional Convention in Philadelphia to see a serious attempt to fix the major deficiencies in the Confederation system. New York appointed Hamilton as a delegate to the Philadelphia Convention, though his contributions to the drafting of the U.S. Constitution were limited. However, during his only lengthy address to the delegates, Hamilton suggested that the nation would be better off without the bickering states. Great Britain, after all, was the most powerful empire on the globe, and it did not have to deal with semi-sovereign polities mucking up the important work of the central government in London. In September 1787, Hamilton even privately wrote that he hoped the new government would “triumph altogether over the state governments and reduce them to an [e]ntire subordination.” This was an extreme and provocative notion, but one that could never realistically occur—and Hamilton knew it. Especially after the contested battle over ratification, Hamilton did not seriously expect that the states could or would be entirely subordinated under any new plan of government. Despite his private musings, Hamilton’s proposals to the convention reflected this reality. even called for the Congress to have power “to call forth the force of the Union [against] any member of the Union failing to fulfill its duty under the articles thereof.” As will be discussed, during the 1790s Hamilton would occasionally revisit Madison’s idea that federal forces be called out to suppress defiant states. Like Madison, Hamilton proposed to rein in the states’ ability to violate individual rights or interfere with national law by mandating “All laws of the particular states contrary to the constitution or laws of the United States to be utterly void.” While Madison planned to void unconstitutional state laws through the Congress, Hamilton instead opted for a veto-wielding, nationally appointed state governor: “And the better to prevent such laws being passed the Governor or President of each state shall be appointed by the general government and shall have a negative upon the laws about to be passed in the state of which he is governor or President.” Neither Madison’s nor Hamilton’s proposals made it into the final document. Nevertheless, in its final form, the U.S. Constitution does curtail the sorts of harmful state actions that Hamilton and Madison sought to prevent. The Constitution includes express provisions that limit the sovereignty of the states. It allows the federal courts to strike down unconstitutional state laws (the power of judicial review), and Article I, Section 10, explicitly declares certain state laws to be unconstitutional. With these constitutional safeguards in place, and despite their unforgiving approach to state power in 1787, over time both Madison and Hamilton would come to accept, and even to appreciate, the political sovereignty retained by the states. Still, when Hamilton took office as the first secretary of the treasury in 1789, he did not forget or excuse the dysfunction he had witnessed for so long among the states. He did, however, accept that the new Constitution promised a remedy for past problems with its enumerated national powers and its explicit prohibitions on the states. Although Hamilton would always remain suspicious about the motives of particular states (Virginia, first and foremost) and their partisans, he recognized that under the constitutional settlement reached in 1787, the states retained significant powers. What Hamilton would not accept, however, was any incident in which a state encroached on what he perceived to be the federal government’s proper constitutional authority. from federal tax revenues. But Virginia—acting through Speaker of the House James Madison—obstructed Hamilton’s plan in Congress because it was concerned that the state of Virginia would ultimately pay more than other states under the assumption scheme. After some behind-the-scenes dealing, Hamilton’s plan ultimately became law. And though Hamilton won this political battle, he lost a former ally; Madison no longer seemed to understand, as Hamilton did, that proper federal power required robust fiscal powers. In 1791, Hamilton squabbled with obstructionist Virginians again, this time confronting Madison and Secretary of State Thomas Jefferson over the constitutionality of a central bank. The Virginians argued that federal power was limited, and so, if the Constitution failed to enumerate a power to charter a bank, Congress could not create one. 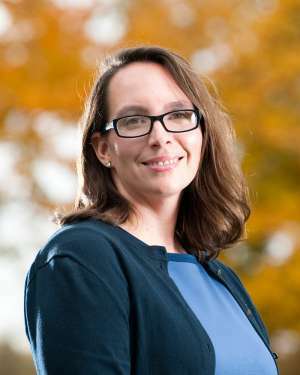 Hamilton, defending the federal government’s authority to act, argued instead that a bank was a “necessary and proper” means to Congress’s legitimate constitutional ends of taxing, borrowing, and regulating commerce. President Washington agreed with his treasury secretary, and so Hamilton won the argument in favor of the federal government’s authority. As the 1790s wore on, other actors attempted to obstruct the exercise of federal power. Rebellious Pennsylvanian farmers refused to pay the federal government’s excise tax on whiskey, prompting Washington, with Hamilton’s full support, to quell the so-called Whiskey Rebellion with force. By the end of the decade, once Hamilton left public office to return to his private law practice, the states seemed to pose an even greater threat to the Union. After Virginia and Kentucky protested the Alien and Sedition Acts, Hamilton wrote to Federalist allies, including Sedgwick, to express his fears that those outspoken, Republicansympathizing states would succeed in shattering the constitutional settlement. The Virginia and Kentucky resolutions suggested that, as parties to the compact creating the Constitution, the states had the legal right to protest (and perhaps nullify) federal law. To Hamilton, this doctrine was downright dangerous and might even require calling out a national force to repress insurrection in the South—an “experiment . . . to subdue a refractory & powerful state by Militia,” as he called it. (to subdue its political rebels) and then out west, to the Louisiana Territory and into Spanish-held Mexico. This was Hamilton at his most extreme, pursuing an ill-advised plot that neither President John Adams, nor moderate Federalists, would ever set into motion. From Hamilton’s perspective, each of these incidents demonstrated that certain states were set on obstructing the proper authority of the national government. Hamilton met these challenges with a defense of federal power. Sometimes, when Hamilton felt that circumstances required it, he advocated the use of military might to subdue rebellious states or rural farmers; but Hamilton also used law as an effective tool to defend the sovereignty of the federal government. In fact, throughout the 1790s Hamilton wrote legal briefs; engaged in countless cabinet-level oral arguments to appeal to President Washington, the nation’s chief magistrate; and argued publicly for the constitutionality of his favored policies to the Congress, to the American people, and to the courts in order to defend federal power against state encroachment. Aside from Hamilton’s written brief on the constitutionality of a central bank, his highest-profile legal defense of the federal government’s powers occurred at the nation’s highest court. Hamilton defended the federal government’s power to tax in Hylton v. U.S., a 1796 case that pitted the former treasury secretary and his proposed federal tax on carriages against—who else?—Virginians. The case turned on the meaning of the “direct tax” clause found in Article I, Sections 2 and 9, of the Constitution. In 1794 Congress passed “An Act laying duties upon Carriages for the Conveyance of Persons” to levy uniform taxes on different types of carriages. Prior to the bill’s passage, southern congressmen objected to the tax because they viewed it as a discriminatory levy on the southern states, and they raised the question of whether the carriage tax should be considered a direct or an indirect tax. This constitutional distinction was important. If Congress considered the carriage tax to be an “indirect” tax, then the Constitution required it to be levied uniformly across the states (as the bill specified). If Congress intended instead that carriage taxes were “direct” taxes (as were poll taxes, for example), then the tax needed to be apportioned by population. Virginia maintained that the carriage tax was a direct tax, even though President Washington signed the bill into law as an indirect (and thus uniformly levied) tax. After a band of prominent Virginia gentlemen refused to pay their carriage tax (arguing that the tax was unconstitutional), Hamilton and Attorney General William Bradford decided to bring a lawsuit against one of them, Daniel Hylton, who willingly agreed to be the defendant for the test-case. The suit eventually made it to the U.S. Supreme Court, where the case turned on whether the carriage tax was to be considered a direct or indirect tax. If the Court determined that the carriage tax was a direct tax, but levied uniformly by this bill, then the 1794 act would be unconstitutional, null, and void. By 1796 Hamilton had left the Treasury and returned to his law practice, but he still agreed to represent the United States government before the Supreme Court for the Hylton suit. For Hamilton, arguing in favor of the constitutionality of the carriage tax meant defending his own tax proposal, but it also meant preserving the federal government’s broad taxing power against Virginia’s cleverly subversive attack. If Virginia could get the Supreme Court to rule that the carriage tax was a direct tax, then the tax in its current form would be unconstitutional. That would be Virginia’s first victory: a reduction of Virginians’ tax bills. Virginia’s second triumph would come when Federalists found it politically impossible to pass a new version of the carriage tax (or any other tax on common goods) that was apportioned. An apportioned tax on carriages was politically infeasible because it would disproportionately impact each state: if the carriage tax were apportioned, then Delaware, the state with the most carriages per person, would pay only $0.73 per carriage. But Georgia, the state with fewest carriages per person, would pay over $5 per carriage! Such tax disparity would be both ridiculous and politically impractical, as no state with relatively few carriages per capita would allow for Congress to pass such a tax. This, in turn, would mean that Virginia successfully thwarted a tax component of Hamilton’s funding scheme and that the federal government’s long term ability to pass taxes would be stymied by the unfeasibility of apportionment. If Virginia were successful, then its victory over Hamilton’s financial plan, as well as its check on the federal taxing power, would shift constitutional authority from the federal government toward the states. To counter Virginia’s claims, Hamilton argued in favor of a broad construction of the federal taxing power, and he pointed out that, though direct and indirect were imprecise economic terms, the carriage tax most likely qualified as an indirect tax. The Supreme Court agreed, and it upheld the uniformly levied carriage tax as constitutional. Hylton v. U.S. represented a win for Hamilton’s defense of federal power and underscored, yet again, that the states—and Virginia in particular—wanted to limit the national government’s constitutional authority. Note, however, that while Hamilton affirmatively defended the federal government’s powers, he did not advocate to limit the states’ authority. In Hylton, for example, Hamilton did not suggest that the states’ powers to tax be limited—he argued instead that the federal government’s taxing powers should be as robust as the Constitution allowed. This distinction—that Hamilton did not seek to diminish the states’ constitutional authority, but sought only to defend federal sovereignty—is important because the legal complement to his defensive posturing was Hamilton’s own articulation of concurrence, found in Federalist essays Nos. 32 and 82. Even at his most frantic—when plotting to subdue Virginia in 1799—Hamilton reacted to the danger posed to the federal government’s authority that he perceived from the states. He did not intend for Virginia, or any other state, to be stripped of its proper constitutional powers. And so, Hamilton’s defensive posture complemented his essays on concurrence, wherein he emphasized that the states retained their pre-existing powers, even when those powers might overlap with the authority delegated to the national government. Hamilton wrote this blueprint for concurrent state and federal power, and in doing so, cemented his legal legacy as an authoritative advocate for state sovereignty. When Hamilton, Madison, and John Jay embarked on the Federalist project, they understood that they were writing essays meant to convince hesitant New Yorkers to ratify the new Constitution. Their primary goals were to persuade and to allay AntiFederalist fears. But Hamilton, Madison, and Jay also wanted to explain, in detail, how the constitutional settlement worked. The Federalist was not intended to have the force of law, but its authors’ lucidity, thoroughness, and obvious legal expertise soon qualified the essays as an authoritative constitutional treatise. American jurists were quick to treat it as such. This exclusive delegation, or rather this alienation, of State sovereignty, would only exist in three cases: where the Constitution in express terms granted an exclusive authority to the Union; where it granted in one instance an authority to the Union, and in another prohibited to the States from exercising the like authority; and where it granted an authority to the Union to which similar authority in the States would be absolutely and totally contradictory and repugnant. In No. 82, Hamilton reiterated the same rules, and using similar language to No. 32, described concurrent judicial power. According to Hamilton’s rules of concurrence, the states’ powers were not boundless, but even after the constitutional settlement of 1787, they remained formidable. Hamiltonian concurrence thus emphasized not only that states retained a sizeable share of their Confederation-era power—including a robust power to tax, and state court jurisdiction that extended to matters even cognizable under federal law—but that power could be shared among the states and federal government, as long as no repugnancy, or collision, of powers occurred. Because The Federalist transcended its initial status as persuasive propaganda to become authoritative constitutional canon, concurrence made Alexander Hamilton into an authority on preserving state sovereignty. This authoritative status was confirmed across state and federal case law. For example, antebellum attorney Thomas Addis Emmet quoted Hamilton’s rules of concurrence in order “to secure him on the side of the appellants, and avail myself of [Hamilton’s] authority to show that some of the powers granted to Congress are concurrent” in Livingston v. Van Ingen, a 1812 steamboat monopoly case decided in favor of the state’s concurrent power to regulate commerce. In McCulloch v. Maryland, the famous 1819 case that litigated the question of the Bank of United States’ constitutionality and whether or not Maryland could tax it, Maryland’s legal team also relied heavily on Hamiltonian concurrence. The state’s attorneys quoted extensively from multiple Federalist essays in order to claim Hamilton’s authority as support for Maryland’s sovereignty. Further cementing Hamiltonian concurrence into the canon of American constitutional law, legal treatise writers like James Kent, New York’s chief justice and later chancellor, and Joseph Story, associate justice to the U.S. Supreme Court, grounded their extensive analyses of the states’ concurrent authority in Hamilton’s Federalist essays. The 1820 U.S. Supreme Court case Houston v. Moore demonstrates how Hamiltonian concurrence shaped the Court’s decisions and worked in favor of the states. The Constitution empowers Congress “to provide for calling forth” and “for organizing, arming, and disciplining, the militia” in Article I, Section 8. In an effort to support the federal government’s power over a federal militia, the state of Pennsylvania passed a statute in 1814 that penalized militiamen for failing to serve when called into duty by Congress or the president. Offenders were to be tried in a state court martial and sentenced with a fine. When Robert Houston, a private in the Pennsylvania militia, failed to muster for federal militia service, Pennsylvania tried and convicted him under its statute. Houston subsequently sued, arguing that because Congress had constitutional authority over federal militia service, the Pennsylvania statute encroached on Congress’s powers and was thus null and void. The Supreme Court of Pennsylvania affirmed the trial court’s conviction, and Houston brought the case to the U.S. Supreme Court on a writ of error. Livingston v. Van Ingen—that turned on other interpretations and applications of Hamiltonian concurrence. Ultimately, the Houston Court disagreed over when, precisely, federal militia service began and what Hamilton’s “contradictory and repugnant” caveat meant. For example, Justice Joseph Story thought that the very fact that Pennsylvania passed a statute regulating federal militia service qualified as repugnant and thus rendered the statute null and void. It did not matter to Story that the statute fully endorsed and supported the federal government’s efforts to call forth state militias (and in this sense seemed fully in harmony with Congress’s authority). But Justice Bushrod Washington thought the statute constitutional because it merely created a concurrent jurisdiction for a state court (and in Federalist No. 82 Hamilton affirmed this sort of concurrent jurisdiction). Justice William Johnson agreed with Washington’s conclusion that the statute was constitutional. Johnson simply did not think that the Pennsylvania law was contradictory or repugnant to the federal government’s authority at all when it was an obvious attempt to support the federal government’s militia power. In the end, a divided court voted to affirm the lower court decisions; thus, Houston v. Moore upheld Pennsylvania’s statute as a constitutional exercise of concurrent state power, and Houston had to pay his fine. Houston v. Moore underscores just how fundamental Hamiltonian concurrence was to resolving the questions that arose from the federal system and the shared power among the states and the federal government. The case, along with others, also reveals how Hamiltonian concurrence established Alexander Hamilton as an advocate for state sovereignty. It was on Hamilton’s terms that the Pennsylvania and U.S. Supreme Courts determined that states had a concurrent authority to regulate federal militia service, and thus it was Hamiltonian legal theory that provided the basis for preserving Pennsylvania’s sovereignty. The prevalence of Federalist essays Nos. 32 and 82 in antebellum constitutional jurisprudence demonstrates that Alexander Hamilton’s impact on American law and state sovereignty extended well past his death in 1804. Hamiltonian constitutionalism endured not only because Hamilton was a founding statesman, but because subsequent jurists took seriously Hamilton’s legal theorizing in defense of state sovereignty (while disregarding his overheated political rhetoric aimed at obstructionist states). As a result, Hamiltonian constitutionalism had a lasting influence over the ways in which state and federal courts interpreted the boundaries of the national and state governments’ power. And though Hamilton fought to uphold the 1787 constitutional settlement by defending the federal government’s authority in the face of state obstructionism, his constitutional commentary also gave the states a defensive mechanism to preserve their powers. In doing so, Alexander Hamilton proved he was an advocate for national power—as well as an advocate for the states. Hamilton to Sedgwick, Feb. 2, 1799, in The Papers of Alexander Hamilton, Harold C. Syrett, ed., 27 vols. (New York: Columbia University Press, 1961–1987), 22: 452 (Hereinafter PAH). In an effort to protest the Alien and Sedition Acts, the legislatures of Virginia and Kentucky asserted that the states had the right to protest (perhaps even to nullify) acts of Congress as unconstitutional. For scholarship on Hamilton and his political world, see Gordon S. Wood, Empire of Liberty: A History of the Early Republic, 1789–1815 (New York: Oxford University Press, 2009); Joseph J. Ellis, Founding Brothers: The Revolutionary Generation (New York: Vintage Books, 2002); and Joanne B. Freeman, Affairs of Honor: National Politics in the New Republic (New Haven, CT.: Yale Nota Bene, 2002). A selection of modern biographies of Hamilton include: Forrest McDonald, Alexander Hamilton: A Biography (New York: W.W. Norton, 1979); Jacob E. Cooke, Alexander Hamilton (New York: Charles Scribner’s Sons, 1982); Ron Chernow, Alexander Hamilton (New York: Penguin Press, 2004); and John Ferling, Jefferson and Hamilton: The Rivalry that Forged a Nation (New York: Bloomsbury Press, 2013). For an in-depth exploration of Hamilton’s legal legacy, including Hamiltonian concurrence, see Kate Elizabeth Brown, Alexander Hamilton and the Development of American Law (Lawrence, KS: University Press of Kansas, 2017). Livingston v. Van Ingen, 9 Johns. Cas. 507, 576 (N.Y. Ct. Err., 1812). Hamilton to Duane, Sept. 3, 1780, PAH 2: 401. When describing Hamilton’s brand of federalism, Clinton Rossiter declared Hamilton to be “the least ‘federal’ of all those heroic figures” who drafted and implemented the U.S. Constitution. Rossiter, like many of Hamilton’s biographers, considered Hamilton to be a staunch nationalist during the 1780s, as well as the early national period. See Rossiter, Alexander Hamilton and the Constitution (New York: Harcourt, Brace & World, 1864), 195. Hamilton, “Constitutional Convention, Remarks on the Abolition of the States,” June 19, 1787, PAH 4: 211–12. Hamilton, “Conjectures about the New Constitution,” Sept. 17–30, 1787, PAH 4: 276. Madison, “The Virginia Plan,” The Papers of James Madison, eds. Robert A. Rutland, Charles F. Hobson, William M. E. Rachal, and Frederika J. Teute, vol. 10 (Chicago: The University of Chicago Press, 1977), 16. See also Michael J. Klarman, The Framers’ Coup: The Making of the United States Constitution (New York: Oxford University Press, 2016), 139–40. Hamilton, “Constitutional Convention, Plan of Government,” June 18, 1787, PAH 4: 209. See Article I, Section 8, of the U.S. Constitution and Hamilton, “Final Version of an Opinion on the Constitutionality of an Act to Establish a Bank,” Feb. 23, 1791, PAH 8: 97–134. Hamilton to Sedgwick, Feb. 2, 1799, PAH 22: 453. See also Hamilton to Rufus King, Jan. 5, 1800, PAH 24: 167–71. William Heth to Hamilton, Jan. 18, 1799, PAH 22: 422–24, and Hamilton to Jonathan Dayton, Oct.–Nov. 1799, PAH 23: 599–604. For the efficacy and consequences of the Virginia and Kentucky Resolutions for fomenting state opposition, see Wendell Bird, “Reassessing Responses to the Virginia and Kentucky Resolutions: New Evidence from the Tennessee and Georgia Resolutions and from Other States,” Journal of the Early American Republic 35, no. 4 (2015): 519–51. See also William J. Watkins, Jr., Reclaiming the American Revolution: The Kentucky and Virginia Resolutions and Their Legacy (New York: Palgrave Macmillan, 2004). 3 U.S. (3 Dall.) 171 (1796). For the statutorily imposed rates, see the U.S. Statutes at Large, ch. 45, 1 Stat. 373, 374 (1794). For a complete summary of the background, lower court proceedings, and oral argument in the U.S. Supreme Court, see Maeva Marcus, ed. The Documentary History of the Supreme Court of the United States, 1789–1800, vol. 7 (New York: Columbia University Press, 2003), 358–69 (Hereinafter, DHSC). Robin L. Einhorn, American Taxation, American Slavery (Chicago: University of Chicago Press, 2006), 160–61. The Federalist No. 32 (emphasis added). 9 Johns. Cas. 507, 547 (N.Y. Ct. Err., 1812).McCulloch v. Maryland, 17 U.S. (4 Wheat.) 316 (1819). James Kent, “Of the Concurrent Jurisdiction of the State Governments,” in Commentaries on American Law, 4 vols. (New York: O. Halsted, 1826–1830), 1: 363–79, and Joseph Story, “Rules of Interpretation of the Constitution,” in Commentaries on the Constitution of the United States, 3 vols. (Boston: Hilliard, Gray, 1833), 3: §435–41. Houston v. Moore, 18 U.S. (5 Wheat.) 1 (1820). Originally published by the Federal History Journal under a Creative Commons Attribution-NonCommercial-NoDerivatives 4.0 International license.